What Are The Best Treks In Sapa? 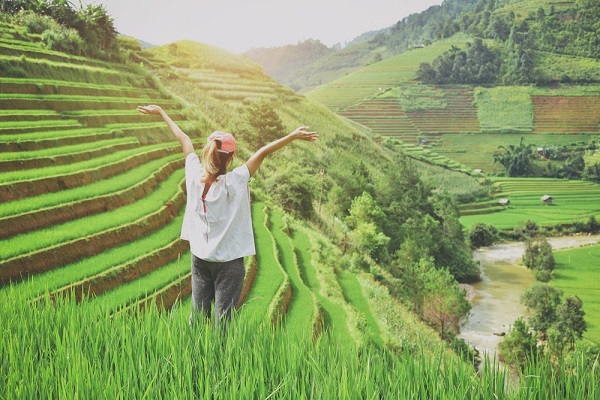 Sapa is one of the most scenic regions in Vietnam, which is famous for the ancient yellow, green rice terraces and the customs of ethnic monitories. 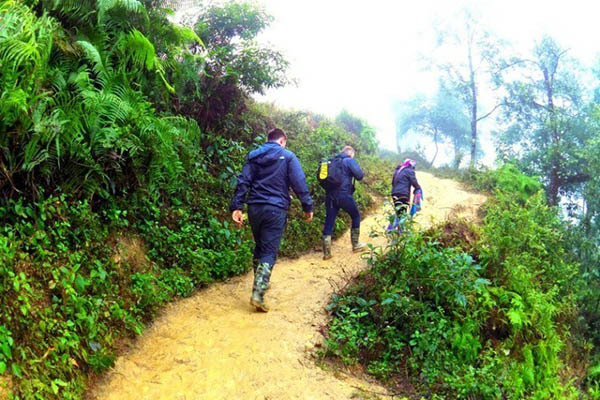 Most tourists come to Sapa in order to trek with three level including easy route, medium route, and hard rout. In this article, you can find advice on what are the best treks in Sapa. 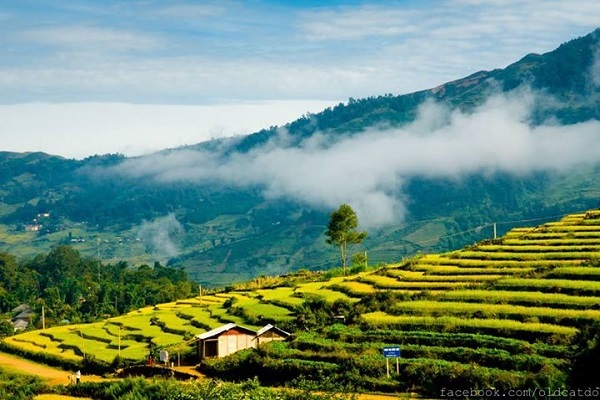 Sapa is famous for the best weather and its temperatures range a lot during the different seasons. Sapa’s climate is moderate and drizzly in the summertime and cold and foggy in the winter time. Sapa is a great diversity of ethnic people with five main groups of Hmong, Dao, Zay, Tay and Xa Pho. If you want to know about the culture and customs of ethnic monitories, let’s visit their village located in the valleys of Sapa. Their income gain from rice, corn, fruits, and handicrafts. Between August and November is the best time to go trekking in Sapa. Why? Because almost tourists want to take the most beautiful album of the rice fields with beautiful shades of green and gold. Therefore, the large numerous tourists visit Sapa so you should book your accommodation in advance. If you want to see the rice fields at their greenest, let’s come to in June. However, maybe you meet the rains during this time, so you should bring a raincoat, and a waterproof bag to protect your camera gear. Another good period is March to May as travelers will feel the fresh air of nature, cool weather. Thus, you will avoid the rains and storms. It is a paradise in the best atmosphere. You also have a chance to take the photography of the stunning landscapes. Especially, you grace the image of rice cultivation time of local people. Not only that, the weather is very good to visit the ethnic minorities and Muong Hoa valley. You also admire the season of flowers. Start early so you have plenty of time! Head down the main road and go down Muong Hoa Street, here you will pass some cafés and hotels. Then the plan continues going down a hill and already found some of the rice fields. Bring enough water, maybe 1.5 L per person as you will thirsty in the trekking. The fast foods like the snack, candy, bread, cake and so on. During hiking, the energy will be wasted so much, so you need something to avoid hunger. Hat and sunglasses, sunscreen. If it is sunny, they help you protect yourself! Maybe you travel on a sunny day, you had to wear enough sunblock not to get burned. Camera, mobile: Take lots and lots of photos. The final important item is the map. You can choose travel on the local tour or by yourself. If you went without a map, but you didn’t have a specific place we wanted to see. Especially, you want to see a certain village or find a specific homestay. Sapa has many homestays in the town, the villages. The first place you visit is Muong Hoa valley from the main road for about an hour before turning right to a footpath downhill. Crossing the road, tourists will have an opportunity to catch up the highest part of Hoang Lien Son mountain range like Fansipan Peak. However, one recommendation for you is to search for the suitable weather. Then, you will grace a suspension bridge which leads you uphill to Y Linh Ho village. Come here tourists can visit H’mong people’s house and have a closer view of their daily activities. After two hours of climbing up and down the hills, people will reach Lao Chai- one large village of H’mong people, and then Ta Van- the area where Zay communities gather. The late afternoon comes, you should choose to stay in any villages for a night. It is a chance for you find out more about the culture of ethnics people by joining their meals. The host family will be willing to share their daily for guest. Continuous the first-period trekking, you will approach Cat Cat village located near the bottom of the deep valley right at the foot of Fansipan Peak. Black H’mong people live in this village for a long time. You are free to discover many interesting facts about the life as well as culture and architecture. This village is also known for its tradition of creating silver and gold jewelry. Hence, this is a great time to shop for traditional handicrafts and souvenirs from the local craftsmen. Especially, you are free to take the photography the quiet scenes of the local community going about their day-to-day life. You can join in the activities of local people and understand more about some of the traditional activities including fabric weaving. This short trek to Shin Chai community village allows you for cultural acclimatization. Local people always take the time to make the textile weaving. They are willing to explain the names and function of the local flora for your understanding. The Red Dao ethnic people in there wear the colorful clothes. The Red Dao ethnic people live there. You can wear their clothes once a time in order to take the photo as they are very beautiful with distinctive silver jeweler and red turban. You can experience cultural beauty. In this village, local people almost spend the time on the textile weaving and dying. You will be guided on how to produce the goods and be explained the names and function of the local flora. You can participate in the village community, you can give the children the candy and take photography. But before catching up Sin Chai Village, you must cross 2 kilometers from Sapa Townlet and on the way to Sin Chai Village, to learn about the life of Black Hmong people. Ham Rong Mountain is located nearly to Sapa town center, which is one of the places in Sapa trekking guide. Thus, it is easy to get it. One suggestion for you is to bring the devices, camera to take the photograph when walking at leisure to the top of this mountain just to relax while looking at scenic surroundings. The site has been restructured with typical natural landscape and resting station for climbers. Catching up Ham Rong peak is not waste your energy as you think, on the contrary, this peak is very easy to top as its path is not so steep. Continuously, you keep the walking to grace panoramic view of the whole Sapa town might make one’s heart beat faster. Muong Hoa valley and villages of ethnic people have created an amazing picture of nature. The Roof of Indochina is Fansipan Peak – one of the best treks in Sapa which the final target of foreigners when coming to Sapa. It is known as the most challenging route for tourists. Thus, they will need to spend two days and one night completing the hike. One recommendation for you is to book a local tour to trek the peak in order to get safe. They will give you the advice for your luggage, your schedule. You have passed Cat Cat village, Muong Hoa river, and Ham Rong mountain and continue forwarding the road. The trekking process will become more difficult by the troubled road so you need to save your energy. You trek the plantations and bamboo forests. On the trekking road, you will deep in the primary forest where appears giant old pine trees and more bamboo. At night, you can have a dream in the tent on the mountain slope facing west, near a mountain stream. After the first day, you continue climbing to the peak of Fansipan Peak, with the height of 3143 meters. The final step will need three hours on the dense bamboo forest, but it is worthy as from the peak, you can grace the best panorama of Vietnam. From October to May is the most suitable season to trek Fansipan. To get the best trip, you should prepare some necessary items. The luggage has just weight about 3-4,5 kg to save your energy. It has straps on the chest and abdomen, which should be strong and fixed. One suggestion for you is to choose the particular hiking shoes which are soft, thick, waterproof and have good friction, high neck and sweat absorbing. You travel in the months from April to June, let’s bring the summer clothes. And you visit Sapa in three months from October to January, it is very cold, your clothes had been sweat-wicking, good elasticity, and ventilation. Next, you should carry another item such as a phone, backup charger, notebook sleeping bag, and a map. Besides, the medicine is very important.